A few months ago, I got an email from a company called Vapotherm. Back during Annabelle’s LLOOOOONNNNGGGG initial hospital stay (308 days… not that I counted…) I teased about her being my Vapotherm addict. Everytime we would make it to the “floor” out of ICU, she would decide not to do good breathing, be rapid responsed back to the ICU, and within a few hours, have a “miraculous” recovery at the aid of a little vapotherm. But I digress, this post is all about Vapotherm! Vapotherm is basically oxygen on steroids. Well, not REAL steroids. It is just a special machine that can humidify the oxygen and provide VERY high flows of oxygen with the use of a special nasal cannula. 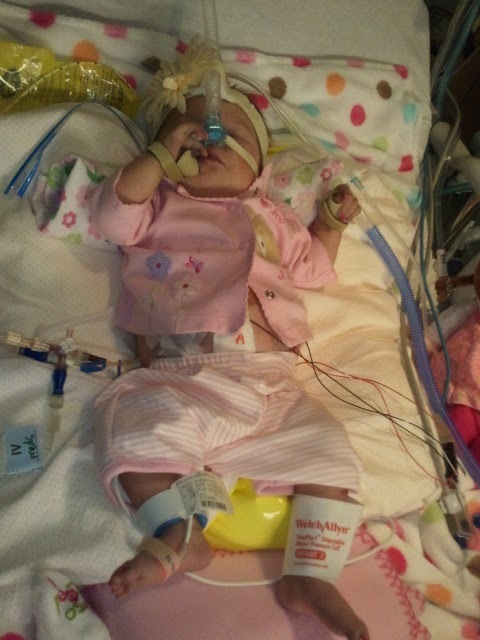 The thing is… oxygenated CPAP is the PITS for babies, as you can see below. It requires being fitted with a mask, is very annoying, and results in VERY cranky babies much of the time. 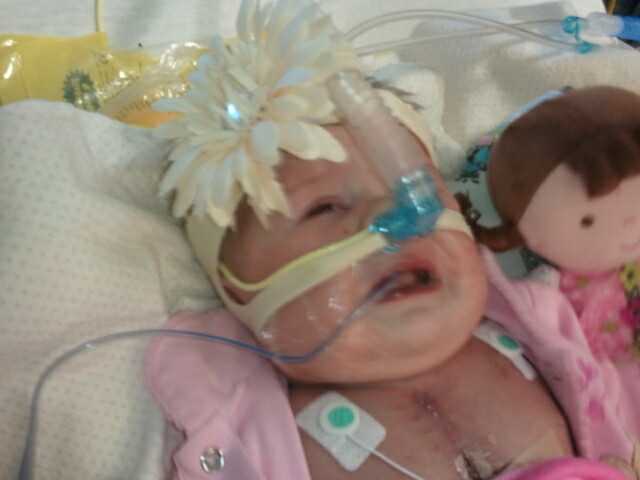 Not sure which she hates the most… her CPAP mask or the bow Mommy used to snazzy it up a bit.. But for our heart kiddos, having the positive air flow that helps their weak lungs stay open is VERY important. 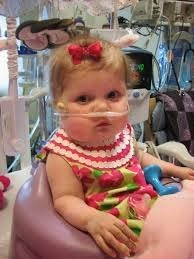 Especially for a kiddo like Annabelle who spent SO much time on a ventilator. Do you know anyone with sleep apnea? You know that mask they have to wear why they sleep at night? Imagine putting that on a baby and making them wear it 24/7. Yeah. Lots of fun. Vapotherm became our friend for this reason. It is a relatively “new” device and because it is administered through a regular nasal cannula, is tolerated MUCH better by these kiddos, especially those like Annabelle who needed to be on it long term. While she was on CPAP at times too (usually what she was on directly after coming off the ventilator) the long period of time she waited for her heart, she was on vapotherm. 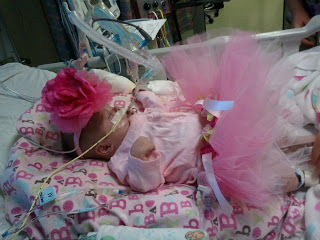 Vapotherm made it possible for her to PLAY and interact and stay OFF the ventilator for those three long months. While I cursed its heavy cord at time that limited mobility in her swing and made it cumbersome to get in and out of the bed, I was so thankful for that dang machine. Annabelle’s 1st Halloween costume. 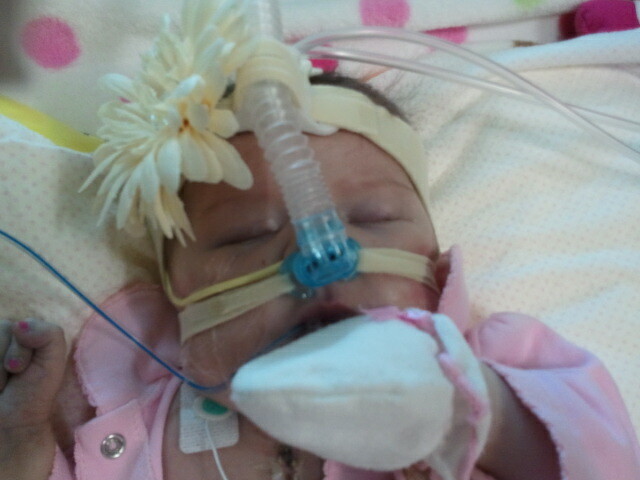 Ventilators are AMAZING machines… they allow our babies to rest from the work it takes to breath. But machines that help my baby avoid going back on the vent? Yeah, this Momma was ALL about that! Well… like I mentioned, Vapotherm contacted me a few months ago. They’d found my blog, my old posts about Annabelle and her Vapotherm addiction, and asked if we’d be willing to let her be one of the “patients” of the year for 2014. OF COURSE! They are going to fly our family out to their corporate headquarters in New Hampshire in January for a short weekend trip. We’ll be telling Annabelle’s story at their annual company banquet so she can “accept” her award. The idea, I think, is a fabulous ones. It’s to allow all their employees to see the IMPACT their work has on real people. On real children like Annabelle. Mommy gives a thumbs up on that one! See that blue machine back there? That is Annabelle’s friend, Vapotherm. Wow that's awesome! Pictures Pictures Pictures! I don't know what I love more–that Annabelle is thriving or that your family will get to go on a trip and spread the word to help others! Wonderful!! awesome that you got this opportunity to share your story! what a blessing! THANKS everyone!!! I mean to reply to your comments earlier but it's been a heck of a week! (see post today, HA!) anyway, THANKS! We are SUPER excited about it and excited to tell our sweet Annabelle's story!